No matter what time of year you visit the Cayman Islands, you’ll never run out of things to do! Relax at the beach, dive into the local culture, and more. Plus, there are many festivals and events that happen throughout the year! Stay at The Residences Seven Mile Beach in Grand Cayman to experience these Cayman Islands events. Whether you happen to catch one during your stay or are planning your vacation around one of them, we’ve chosen our favorites. Cayfest is the best way to immerse yourself in Caymanian culture. February kicks off this multi-day event. You can participate every day or pick and choose which events are right for you! The local artists of the islands come together to show the culture of the area through their work. Nearly every type of art is featured: you will see visual arts, music, theatre, film, fashion design, and even cultural discussions. It will open your eyes to what the Caymans truly are. 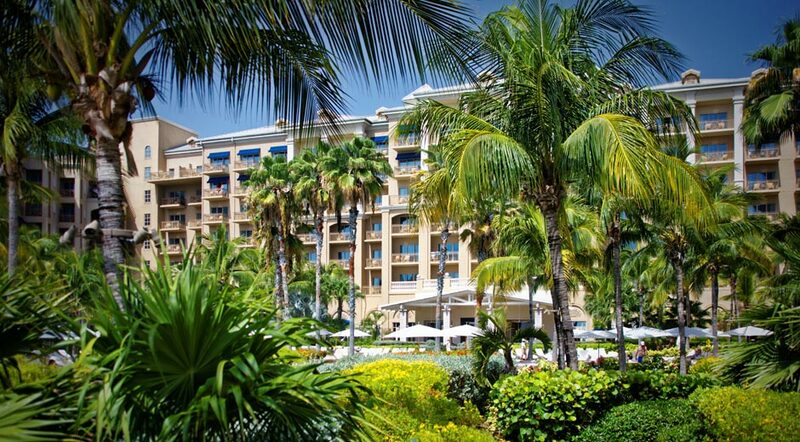 Every year, we look forward to The Ritz-Carlton, Grand Cayman’s Cayman Cookout. For one weekend in January, elite culinary experts unite to create a celebration of food and wine incomparable to any other. During this event, you’ll experience great food, amazing drinks, and even appearances by celebrity chefs. Purchase tickets to each individual event to get in on the action! Local tip: Make sure you get your tickets in advance; certain events sell out within minutes. Cayman Islands Pirates Week is 5 days of fun for people of all ages! The whole family will love the entertaining aspects of this celebration of culture. Out of all the Cayman Islands events, the Pirates Week Kick-Off Party is the biggest celebration of the year. Thousands gather to watch a mock pirate invasion. The rest of the week is filled with even more events like parades, fireworks, competitions, and more! In late October, Restaurant Month gets an upgrade with the added Cayman Cocktail Week. The organizers of this event put together a special menu and host events around Grand Cayman. After months of deliberation and preparation, the Cayman Cocktail Week crew releases their plans to the public. Tickets go on sale so you can start planning your trip! Every summer, Grand Cayman hosts Cayfilm. This marvelous film festival encompasses several days and numerous film screenings. Each of these featured films showcases the abundant beauty of the Cayman Islands. The goal of Cayfilm is to encourage people to visit this destination, as well as promote the islands as a wonderful place to shoot a movie or documentary. In addition to the many film screenings, there will also be question and answer sessions and panel discussions with filmmakers that you won’t want to miss! Are you looking to go on a holiday trip? Come for the Parade of Lights! very year, thousands of locals and visitors gather at Camana Bay to watch this Grand Cayman tradition. At the beginning of December, the bay is lit with incredible sparkling lights. Boats of all shapes and sizes travel through the bay adorned with lights as they compete for the prize of the most magical boat. The night continues with a holiday market, caroling, fireworks, and more! Now that you have discovered which Cayman Island events you want to attend, explore the luxurious properties The Residences Seven Mile Beach in Grand Cayman has to offer.